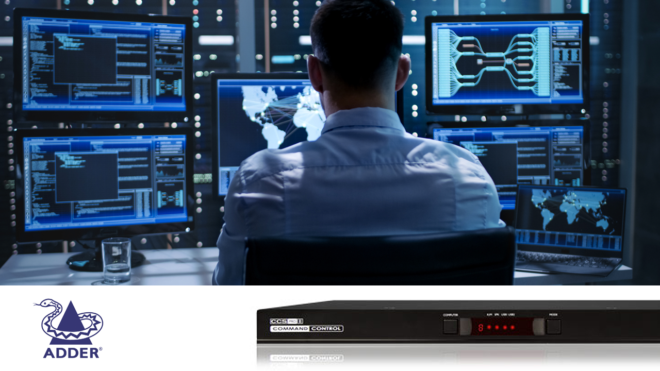 The Adder CCS-PRO8 is a seamless KVM switch that reduces user station complexity, improving the workflow in an array of applications resulting in improved ergonomics, increased efficiency, and reduced risk through critical data protection. The CCS-PRO8 allows users to connect and control eight computers using a single keyboard and mouse. With Free-Flow technology, the user simply moves the cursor across screen borders to instantly choose the computer they want to control giving the experience of a single desktop—a great saving in desk space and time. It is akin to having an extended desktop for multiple systems. Users can also select which source audio to hear. Nominate all or your choice of computers, regardless of which computer you’re using. The CCS-PRO8 KVM switch is ideal for control environments such as 911 call centers and emergency response. It is ergonomically correct as users have a single mouse to control multiple systems and reduces the time taken for them to multiplex to different stations. Users can choose which computers stay alive preventing target computers from sleeping while not in use. 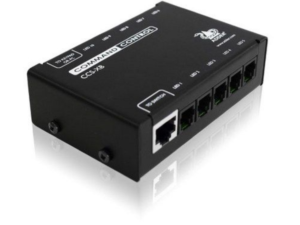 The CCS-PRO8 is switched and controlled through mouse clicks, hotkeys, Ethernet, or RS-232. With the open API, the KVM switch easily sets up and integrates into third party systems. Adder’s True USB Emulation technology beats limitations of other KVM switches by mirroring the true character of the connected devices to all computers at the same time. This means you can use the extra function keys, buttons, wheels, and controls without giving up switching times. 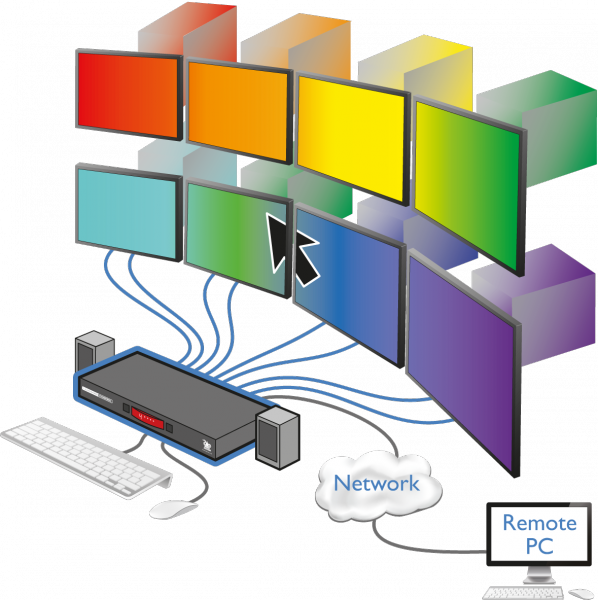 Adder’s seamless KVM switch has independent simultaneous device selection. Switching options allow the user to use the keyboard and mouse on a particular computer while your speakers and USB peripherals are independently connected to other computers. Of course, you can still switch all connected devices to any one of the connected computers. The CCS-PRO8 has an optional screen illumination expansion module. When the CCS-XB8 is connected, an LED indicator on each screen identifies the screen you are currently controlling. The intensity and color can be controlled for each screen. A 1×4 KVM switch model is also available in the CCS-PRO4. For more information, contact BZB Express at 1.888.660.2962 or email support@bzbexpress.com. We provide full service for all your audiovisual needs. Browse our entire online catalog for countless possibilities regarding your project. Catch the buzz on our YouTube channel BZB Express TV for insightful demos and reviews on the latest AV gear. Please show your support and subscribe so you don’t miss any future episodes!